Style your hair with speed and ease. 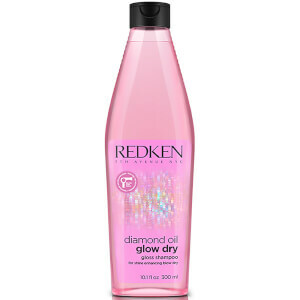 Redken's Diamond Oil Glow Dry Style Enhancing Oil is a protective blow dry oil that works to accelerate the hair drying process whilst adding mirror-like shine to your locks. Fortified with activated silicones to reduce blow drying time, the luxurious elixir makes styling hair fast and easy; its shine-enhancing properties leave hair glistening and silky smooth.